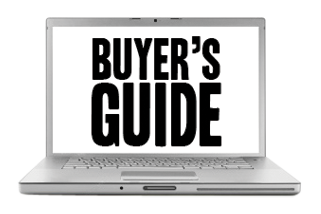 The ultimate vehicle tracking buyers guide for New Zealand companies. When selecting a vehicle tracking company there are more factors to take in to consideration than you might think. Price is the obvious one however as with buying a car you should first weigh up what you are getting for your money and test it before purchase. Check out our handy tips below so that you get the best value for your dollars. Vehicle tracking companies in this day and age should offer you a free install. Gone are the days of making you pay for their engineers to visit to install a device that you are paying them for. No matter where you are in New Zealand a reputable company should offer you a free install at your location. Checkout if the company offers you any free months on your subscription. If they do not then ask and as the saying goes if you do not ask you do not get. Trackmatic offers 3 months completely free as standard for more than 5 vehicles in any one fleet. A tracking system is designed to save you lots of money if used right. There are limited companies that offer the tracking software that can be adapted to suit your business. Trackmatic is one of those that allows you to have your logo on all reports and has a dashboard that can be changed to suit your needs. Don’t sign up to long contracts there is no need when contracts start from as little as twelve months. Remember cheaper is not always better and you should weigh up all the features before choosing your vehicle tracking supplier. Contact Trackmatic today for a free no obligation quote on 04889 3955 or email info@trackmatic.co.nz Today. Recommend a friend and receive $50 NZ Dollars per vehicle commission.